WANT A HAIR FREE HOME? Keeping shedding under control, and maintaining the luster of a pet’s coat is hard work and time consuming. Especially when there is not one single product, currently available, that is wholly effective. Pet parents waste a lot of money on grooming tools that either do not work well, or are poor quality and have to frequently be replaced. Some parents pay professional groomers to do the job instead, but the task is just as difficult for them! It’s time for a revolution in pet grooming! It’s time for the Ridgeback! 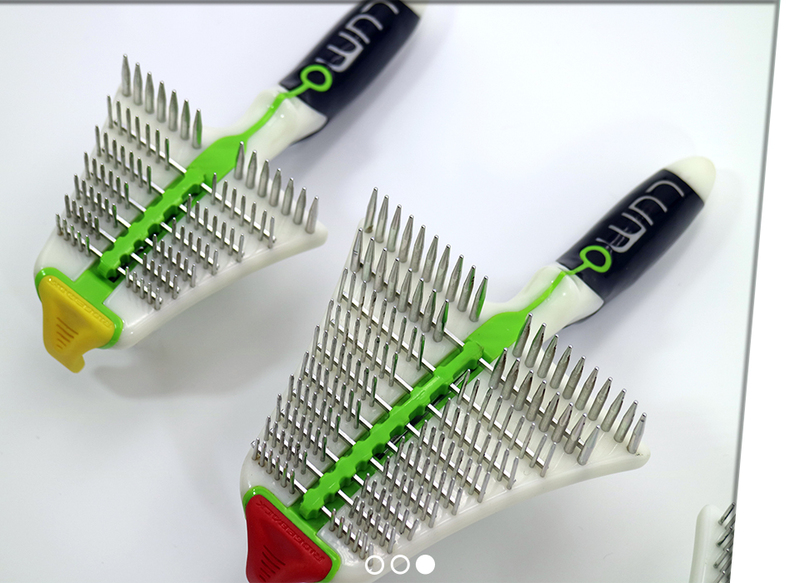 Its patented design enables pet parents to gently detangle, effectively deshed and maintain a healthy coat with ease. 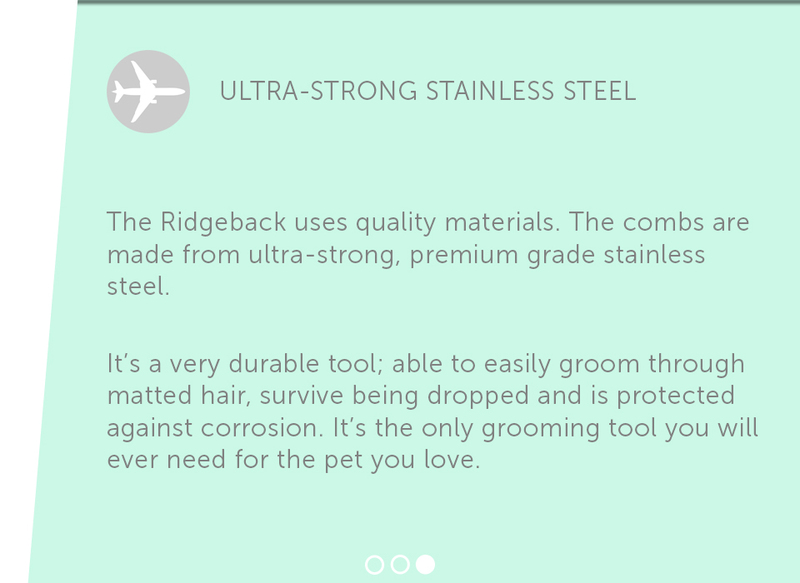 The Ridgeback is the only grooming tool you’ll ever need for the pet you love! Our pets are family members. We want the best for our loyal companions. 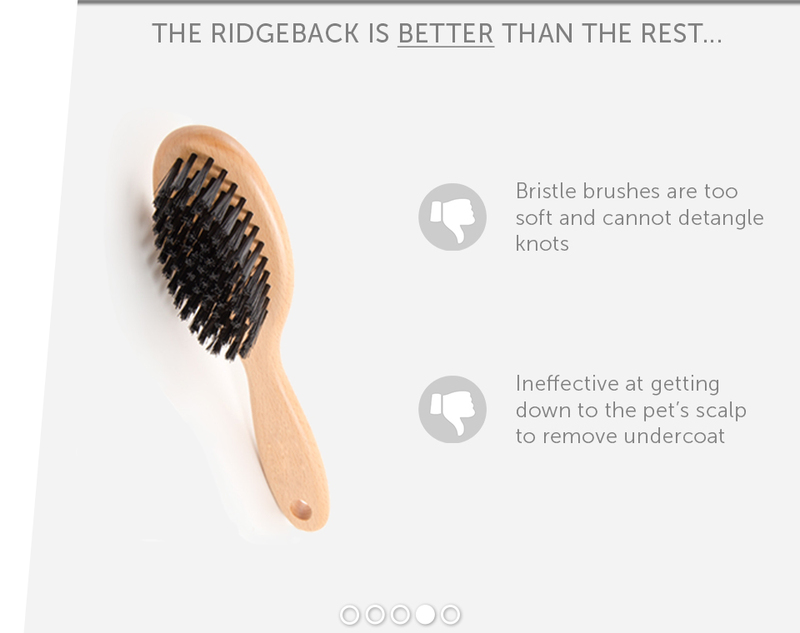 The Ridgeback self-cleaning grooming tool is a new design that is effective, gentle and faster than any other product. 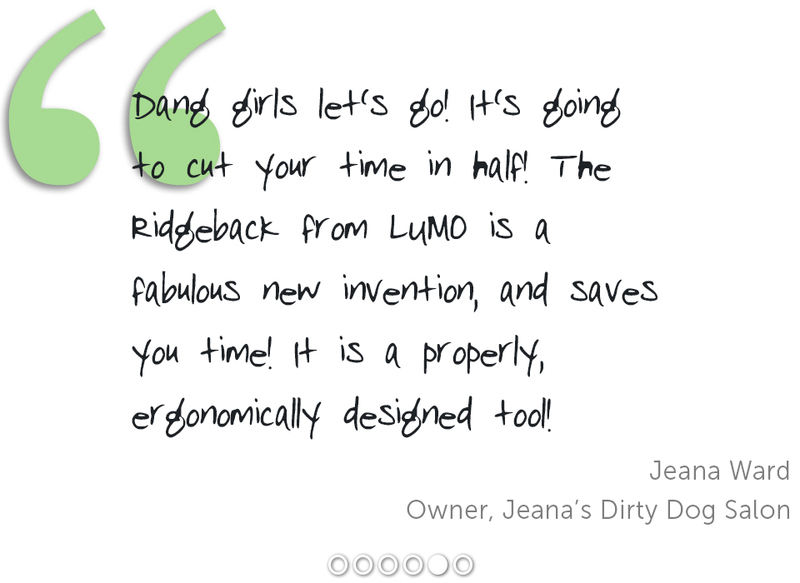 If you want the best for the pet you love, then you need the Ridgeback from LUMO. Nothing makes us happier than to see pets loving our products. We enjoy collecting photos and videos of the end results of our design work. Check out more videos and photos of the Ridgeback in our GALLERY. If you have a photo or video showing the Ridgeback in use on your pet that you would like to share, please CONTACT US or submit a VISITOR POST to our Facebook page. If we choose to feature your photo or video, we will send you a coupon to redeem a free LUMO Polo Shirt, of your choice of size and color. Pet parents have many choices when it comes to buying grooming products; but they are all, really poor choices. No single product is wholly effective. From the harsh products that tug on, and cut the hair of a pet’s coat; to products which have to be repurchased often because they are not durable. 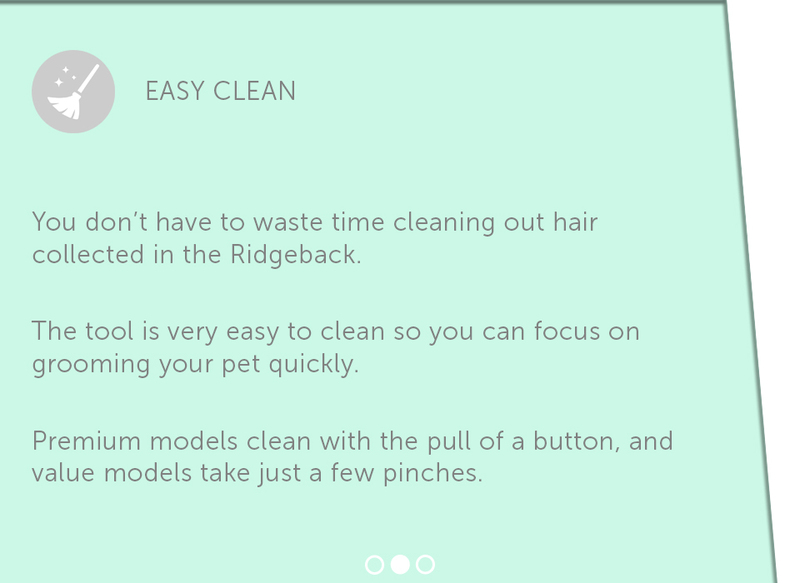 It’s time to stop wasting money and buy a Ridgeback; the only grooming tool you will ever need for the pet you love.